There's still time to sign-up for summer watersports classes for adults. Summer Session II of SDSU Exercise and Nutritional Sciences watersports classes run July 9 through August 15. Current SDSU students can earn college credit, but anyone interested in learning a new watersport is welcome to enroll. ENS classes are a great value and offer students the opportunity to take a longer term class and gain more in-depth knowledge of the sport. After 6 weeks of class, students will have had plenty of on-the-water practice for a complete aquatic experience in the sport. 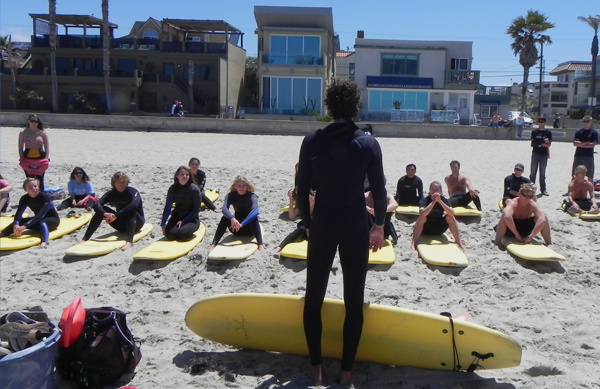 Classes offerred in Summer Session II include beginning surfing, intermediate surfing, stand up paddling, sea kayaking and olympic rowing. While current SDSU students can choose to take the course for class credit, the courses are open to everyone who has a desire to learn a new watersport. Spend part of your summer with us and learn a new watersport. Call us at (858) 488-1000 to enroll today!